Sure beats 'I Spy' on those long car journeys! If you're bored of playing traditional in-car games such as 'I Spy' in an effort to keep the kids (and yourself) amused on long car journeys, then software developers RoadTour have an interesting new travel game. The developer has released a new sat nav guide to over 6,000+ British film scenes we all know and fondly remember and is pitching it as a "new form of in-car entertainment... for all the family." You can check out the British movie scenes map over on the company's web-site along with the rest of their huge database covering all of Europe and the US. "We're always looking for ways to improve people's journeys and this product does just that", claims Daniel Taylor, managing director of RoadTour who developed the software. "This is a simply huge amount of movie content, and with this product, people can enjoy it on the move. It's truly fascinating to turn it on and realise that just a few hundred metres away a movie scene was shot. Not only does this connect us with our surroundings but also with our movie heritage." 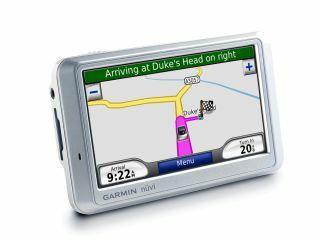 The guide works with a range of leading Garmin Sat Nav devices or Windows Mobile PDAs so you can quickly pinpoint your nearest movie location and – if you are REALLY bored – take the kids to go and see it.